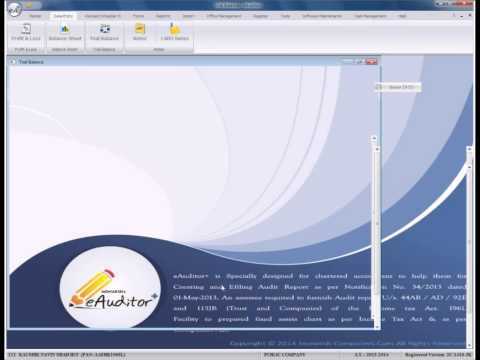 eAuditor+ is specially designed for chartered accountants to help them for creating and e-filing audit report as per notification No. 34/2013, date 01/May-2013, an assessee required to furnish audit report U/s. 44AB / AD / 92E and 115JB of the income tax act. 1961. It also provides facility to prepare fixed assets chart as per income tax act & companies act.